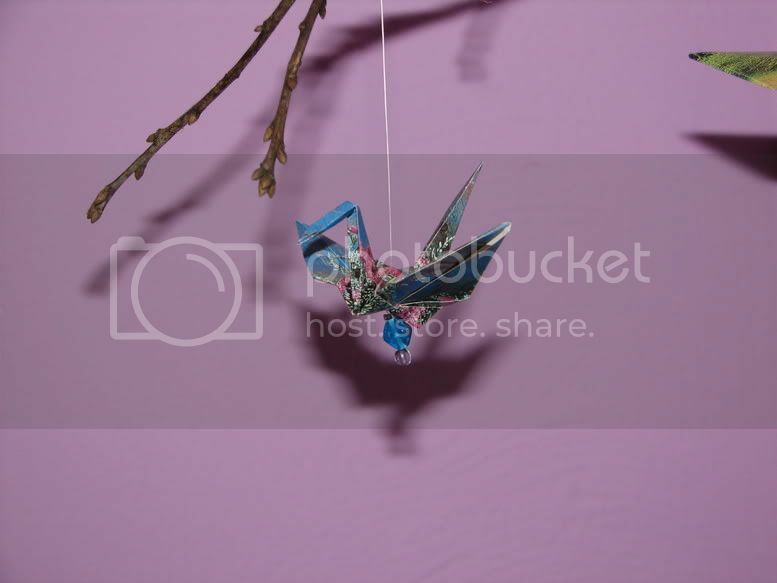 It is a mobile in Cyan's room (I painted two of the walls purple and then did little fat freehand butterflies all over the place). 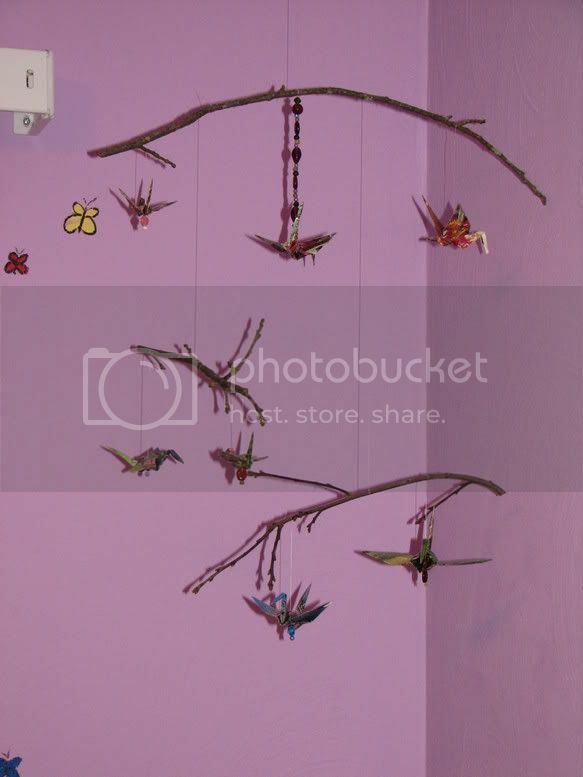 I made it out of apple twigs and flower pictures from a gardening magazine I had on hand. I think the whole thing took me an hour but it is one of my favorite home made art pieces in the house.